Minutes from Downtown Dallas, The Case Building apartments are the newest urban living experience of Deep Ellum. The 17-story high rise includes 337 residences ranging from 500 square feet to 1,472 square feet with studio, one- and two-bedroom options along with parking in a private, secure garage. The residences mirror the industrial feel of the area with 10-foot concrete ceilings, exposed brick walls and open metal shelving in the kitchens. Pricing reflected are based on base rates. Additional fees may incur. Pricing and availability are subject to change and are not guaranteed. Valid for new residents only. With the introduction of The Case Building we’re ushering in a new type of urban living in Deep Ellum. At 17-stories tall, The Case Building has 337 units including studios, one- and two-bedroom apartments, ranging from 500 to 1,300 square feet. If the exposed brick walls, wide windows, open metal shelving, and 10-foot high ceilings give an industrial feel to the apartments, softer accents, like our custom cabinetry balance it. All of these, plus a vast array of other amenities await you at The Case Building. 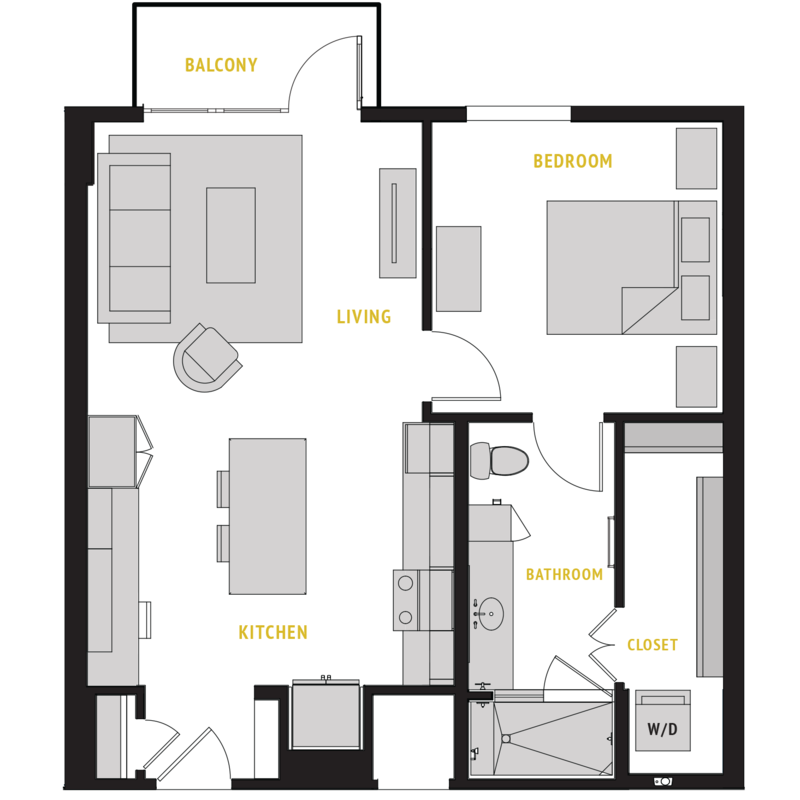 Chose the layout that fits you best, add your personal touch to it, and start living the lifestyle you deserve. When you rent an apartment in Downtown Dallas at The Case Building, you can be confident you'll have all the luxurious amenities you can imagine set in a vibrant and expanding neighborhood. Are you in search of the perfect loft? Westdale is ready to offer you the best loft-living experience in Deep Ellum. Don't hesitate and visit our sister property, Deep Ellum Lofts.